1 Commercial Real Estate & Properties in Bondi Junction are listed in 1 categories. We have 1 Retail ShopsSale . Absolutely rare opportunity to purchase approx 320 sq m of investment in busy, sought after Bondi Junction. 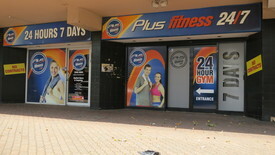 High profile, up market Westifled Shopping Centre just a few meters away!Newly leased for 24 hour gym. 5 x 5 year lease. $150,000 pa plus GST. Increase 3.5% per annum. Completely refurbished.Has been used for food (Pizza Hut) and Government Department in the past. Has access to grease trap, exhaust and 3 phase electrics.Approx 10 meter double frontage facing busy Oxford Street..PLUS TWO sought after undercover secure parking spaces.